ShadowGod returns to the stage for Black Sabbath tribute ! June 22nd will mark a special event. ShadowGod returns to the stage after a long break for the Black Sabbath Tribute show. The band will play tracks from Sabbath's Born Again album and will be selling copies of the Ultimate Sin cover song recorded from last years "Millenium Tribute to Ozzy Osbourne". 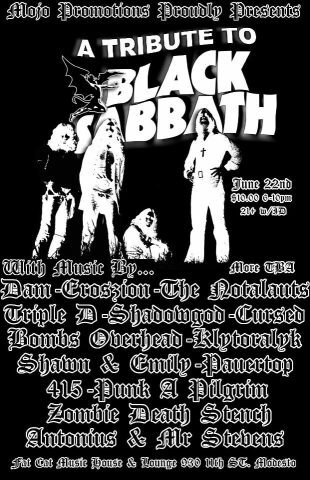 Come out and support ShadowGod and the great songs of Black Sabbath. Welcome Kevin Strutz to ShadowGod! Please welcome a new member into the Shadowgod family. 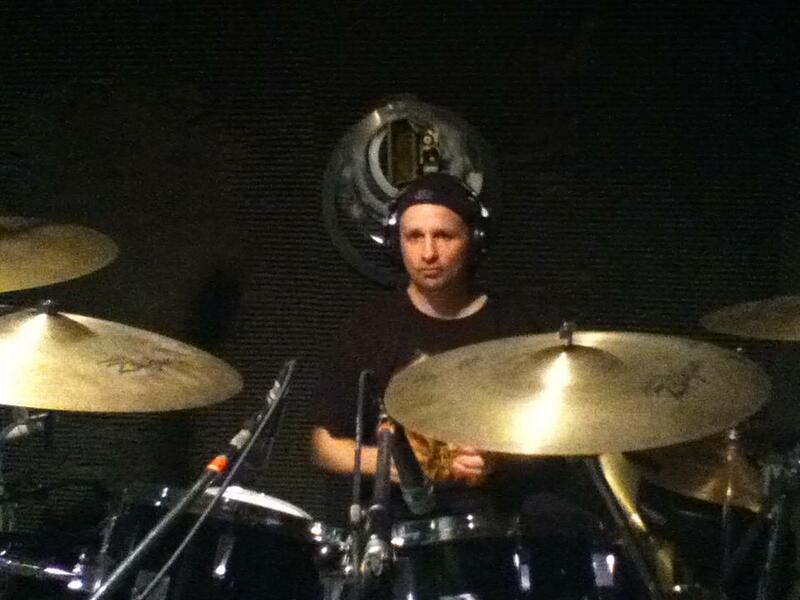 Kevin Strutz is the bands new drummer and will be on Shadowgods upcoming studio album! We wish our brother Bestia the best in his band Thares and will be packaging dates with them very soon \m/ The new lineup will be performing this Saturday at the Workshop in Ceres, Ca. Come out and support and show our new member why Shadowgod has the best fans! SHADOWGOD FEATURED IN NEW OZZY OSBOURNE TRIBUTE CD !! 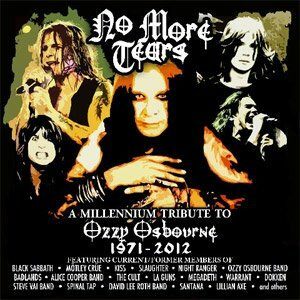 "No More Tears: A Millennium Tribute To Ozzy Osbourne - 1971-2012"
IN STORES NATIONWIDE July 10th!! The first "definitive" tibute to Ozzy Osbourne's 40-year reign as the Prince of Darkness over the ever-thriving heavy metal genre he helped invent. Features rock and metal superstars and many of the hottest rock and metal bands on the rise from around the globe covering Ozzy's BLACK SABBATH and entire solo catalog performed in full-length, hit by hit chronological order over the course of a three-CD set. Along with N.W.O.T.H.M. heavy metal band Shadowgod and various unsigned bands, the album will feature appearances from Vince Neil (MOTLEY CRUE), George Lynch (DOKKEN, LYNCH MOB), Stu Hamm (STEVE VAI band), Gregg Bissonette (JOE SATRIANI, SPINAL TAP, DAVID LEE ROTH), Derrick LeFevre (LILLIAN AXE), Chris Poland (MEGADETH), Mark Slaughter (SLAUGHTER, VINNIE VINCENT INVASION), Brad Gillis (NIGHT RANGER, OZZY OSBOURNE), Gary Moon (THREE DOG NIGHT, NIGHT RANGER), Eric Singer (KISS, BLACK SABBATH, BADLANDS, THE CULT), Paul Taylor (WINGER), Keri Kelli (ALICE COOPER, SLASH'S SNAKEPIT, L.A. GUNS, RATT). Shadowgods Debut release November 30 2010 "Shadowgod S/T,"
they all hold thier own. This Album Is Explosive, in your face, and to the point. In The Very Near Future.I Made This My #1 Indie Metal Band CD/Album Of The Year 2010. Gravel interview in Jan !! Gravel will be on Jokers Electic Circus to talk about the upcoming US Tour! the Album and more !! So prepare for the album and the return of Shadowgod to the stage !!! HEY LEGION MEMBERS! SHADOWGODS ALBUM WILL BE RELEASED THIS NOVEMBER..DO U WANT IT EARLIER THAN ANYONE ELSE? AND ALOT CHEAPER ? WELL....U GOT IT !! ANY LEGION MEMBER WHO IS REGISTERED ON THIS SITE WILL GET OUR DEBUT ALBUM ONE WEEK EARLIER THAN THE REST AND FOR ONLY 6.99 !! NON MEMBERS WILL HAVE TO PAY 9.99 ! AND FOR THE LEGION MEMBERS U WILL RECIEVE A AUTOGRAPHED COLOR PHOTO FROM US AS WELL! SO IT PAYS TO BE A MEMBER SO SIGN UP !! 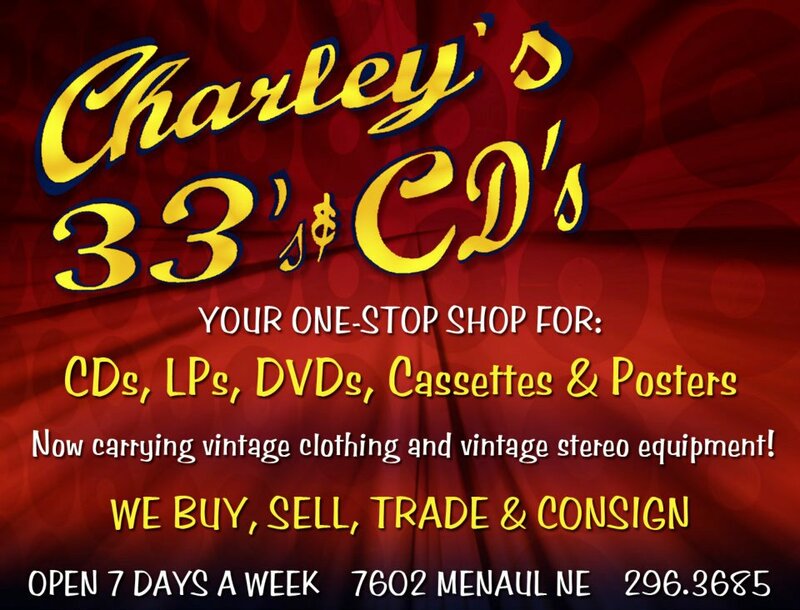 AND WHEN WE GET CLOSER TO THE RELEASE WE WILL GIVE U DETAILS ON HOW TO GET UR DISCOUNTED ALBUM AND PIC ! WE WILL BE IN THE CHAT ROOM AND THE EP WILL BE PLAYED !! COME TO www.blogtalkradio.com/Dragons_Lair at 10pm est AND HANG OUT ! !